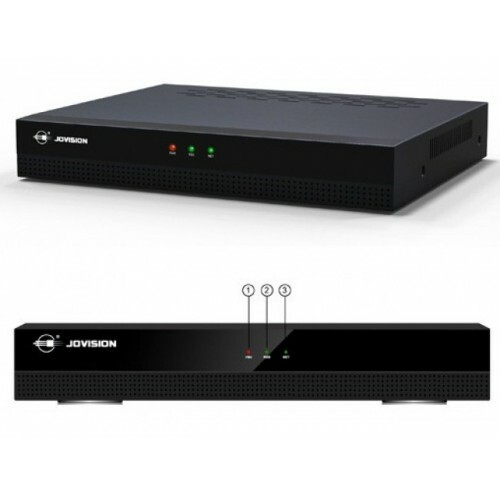 JVS-ND6008-H3 model NVR independently developed by Jovision, support cloudSEE and dual-stream technology, adopting H.264 compression algorithm and Linux real-time operating system. Video output transmit via HDMI ports with features of excellent connection rate, good transmission effect, easy operation, etc. It is optimal products for network remote monitoring, integrated with various practical functions, such as audio and video playback, network transmission, and alarm management. It is widely used in school, factory, supermarket, bank, traffic, community, warehouse, water conservancy and other fields.